Maui High School is fortunate to host one of the few locations of the Hawai‘i USA Student Operated Credit Union (SOCU)—a student run financial institution. SOCU is an extension of the Hawai‘i USA Federal Credit Union. The purpose of SOCU is to teach students about the importance of financial literacy and responsibility by helping them create bank accounts of their own. SOCU also taught our Finance Academy how to properly operate a financial institution and gave students the opportunity to apply the knowledge students learned in class and apply it to real life scenarios. Since eligible members include students, school administration, teachers, staff, and their families, a location on campus made it the perfect hot spot for attracting potential members. Students undergo an interview and are assigned positions including marketing, new accounts, teller, and manager. The SOCU is able to sign up students and school staff for new accounts, allowing them to deposit money. In each Finance class period, students were separated by teams of two. Students then followed a set schedule made by Mr. Prieto, the SOCU advisor, to indicate days of operation and which teams worked on which days. SOCU remained open from Monday to Fridays during lunch and lunch recess in Mr. Prieto’s classroom. On operation days, each team came to class, set up the work space and attracted interested students into making new accounts. This could be done through advertising and promotional activities. Mary Joy Butac is a 2017 graduate of Maui High School. She grew up in Lahaina however, spent a year in the Philippines without her parents at the age of two. After one year, she continued to live in Lahaina until she entered the third grade attending Kahului School. Today, Butac resides in Kahului. Throughout high school, Butac was committed to her studies of business. Butac was introduced to the world of business as a high school freshman and was quickly intrigued by the complexity and diversity that business offered her. From the beginning, Butac’s family supported her dreams of becoming a business major. Her parents told her “she could achieve anything if she put her heart into it”. As Butac went through her junior year, her strenuous assignments in her business classes became her toughest challenge to date. Butac experienced the challenge of a high school student operating a student operated credit union on campus. Students, staff, and representing her family name brought Butac much stress and anxiety. Her dreams, however, were finally becoming a business reality! The people who worked alongside her were students of the finance academy. Butac and her group worked two days a week during lunch hours providing service for members of the credit union. The most difficult part about planning, Butac explains, would be promoting. She was a teller but she could see her marketing group struggling. Butac understands that in business, one must consider the preferences of each customer. It suddenly became difficult to create an informational poster while making it visually appealing to the eyes of prospective members. Butac assisted when she witnessed her peers falling behind; learning that the purpose of a group or team is to assist one another to get the job done. Danny Domingo, also a 2017 graduate of Maui High School will be attending the University of Hawai‘i at Mānoa, majoring in Business Management. Although Domingo was born and raised on Maui, he still takes the time to concentrate on his Filipino heritage, learning about the Filipino culture through his family and friends. 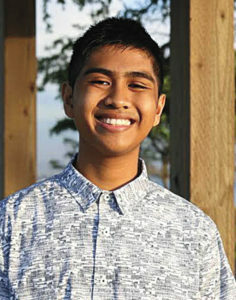 He aspires to become a Lawyer and assist members of the Filipino community. Domingo’s role in his SOCU experience involved being the bank manager. “My biggest challenge would have to be taking on the rigorous leadership tasks involved within my group,” said Domingo. Although there was another active manager in his group, Domingo took the role of finding ways to promote the benefits of opening an account with them and ensuring great levels of progression from the marketing, making sure every student showed up for their shift. The vital role of the SOCU, in Domingo’s perspective, involved reaching the goal of having high school students make better financial decisions. 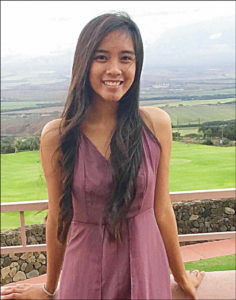 Nathalya Yadao, another one of Maui High’s abundant group of Valedictorians will be attending the University of Hawai‘i at Maui College majoring in Business and Finance. Yadao was born in Ilocos Norte, and resided in Sinait, Ilocos Sur. As a senior, Yadao was involved in Health Occupations Students of America (HOSA), Interact Club, the National Academy of Finance and Entrepreneurship, Best Buddies’ Treasurer, Pacific and Asian Affairs Council, Key Club, Math League, and National Honor Society. Yadao’s family pressured her to pursue the medical field, particularly, nursing, however, Yadao knew that the field of Finance was her calling. Google® Is Not Everything…is a monthly column authored by high school students. The title of the column emphasizes that education is more than just googling a topic. Google® is a registered trademark. 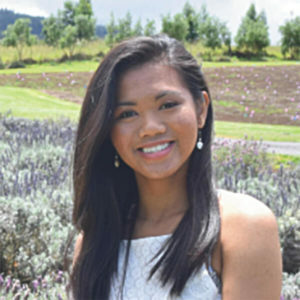 This month’s guest columnist is Sheena Marie Garo, a 2017 graduate of Maui High School, and one of the school’s thirty valedictorians. Garo will major in Radiologic Technology at Kapiolani Community College. She is the daughter of Johnny Garo and Marites Garo. 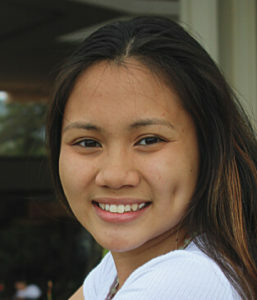 Through Yadao’s SOCU experience, she was able to apply for a summer paid internship at the Kīhei branch of HawaiiUSA Federal Credit Union. This internship lasted for six weeks, 240 hours in total. Through this internship, Yadao was able to delve deeper into the values of the credit union. “I actually felt like I was a part of their HawaiiUSA family,” stated Yadao. Each week Yadao learned a new task: how to use their operating systems, open new accounts, transactions, and even partake in branch meetings. Yadao’s internship at a real financial institution gave her a bitter sweet taste of reality—working in the real world. These experiences only added a memorable, yet enjoyable experience for Yadao, as she strengthens her expertise in the business world. Butac, Domingo, and Yadao are three Maui High School students who used the opportunity provided by SOCU to implement what they learned in class to a real life business situation. Just another example of the good things happening at Maui High School.